Coconut milk gives them a coconut-y flavor that many find off-putting. Almond milk seems to alter the flavor in an unappealing way as well. Rice Milk? The taste seems watered down. Soy milk? Not a good choice for children or those with thyroid issues. Cream works pretty well, but if you are on the GAPS diet or doing strict keto, it’s still a no-no as uncultured cream still has lactose in it. 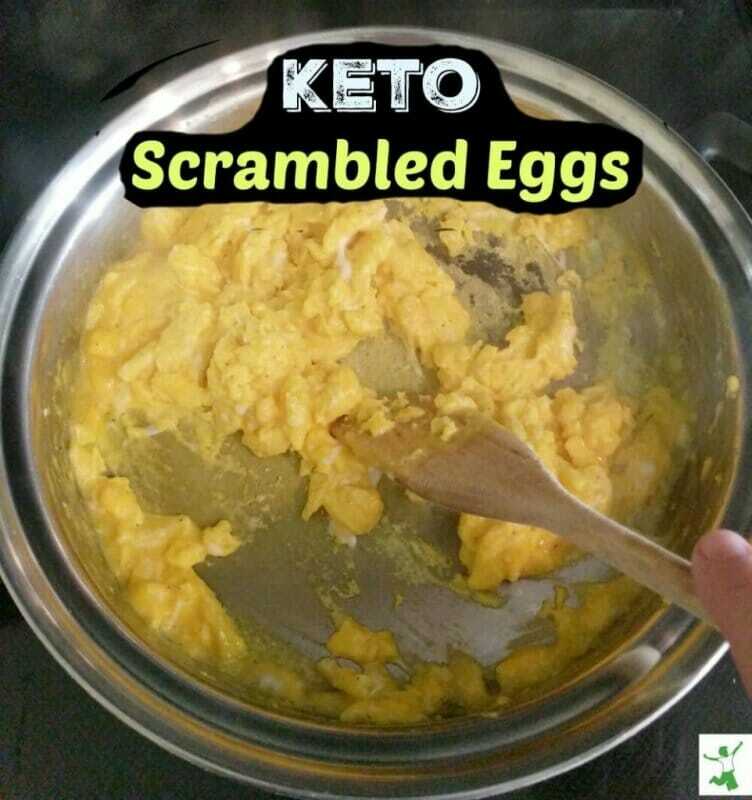 You can also make scrambled eggs with just eggs – but the texture just isn’t right in my opinion. Scrambled Eggs without Milk. What Tastes the Best? I accidentally discovered the tastiest substitute for milk while on vacation with my large extended family. My nieces wanted scrambled eggs for breakfast, but we were were out of milk. Buying more was not an option since it was the last day at our Airbnb, and we were all leaving a few hours later. So, I made scrambled eggs with melted butter instead. And, wow! Was it ever GOOD! It was so tasty, in fact, that I’ve been using butter instead of milk ever since. Next time you are in the mood for this classic breakfast dish, give melted butter a try (not margarine!) and see what you think. Most people with a dairy allergy tolerate butter quite well, but if you are extremely sensitive, try clarified butter instead which is pure oil with all the proteins removed. This delicious scrambled eggs recipe is made without milk and actually tastes better than the old fashioned way. As a bonus, this dish is low carb too. Melt butter on the stovetop in a small pan set to low heat. While the butter is softening, whip eggs in a small bowl until smooth. Pour a drizzle of the melted butter into a large skillet. Blend the remaining butter into the whipped eggs. Pour egg mixture into the coated skillet set to medium-high heat. As the eggs are cooking, use a wooden spatula to continually scrape along the bottom of the skillet. Continue until all of the egg mixture is scrambled with a fluffy texture. Serve immediately. Refrigerate leftovers once cooled.